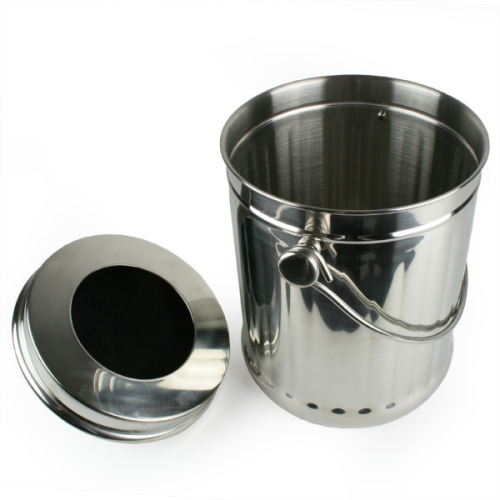 Modern and stylish stainless steel tabletop compost caddy bin. 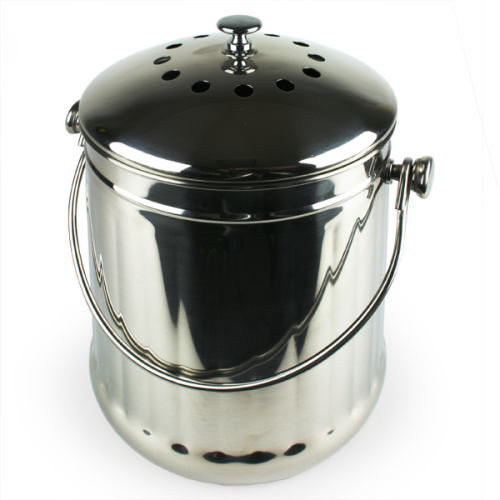 Carbon filter inside the lid helps to keep your kitchen odour free. Made from high quality stainless steel so will not rust. Practical handle for carrying out to your compost bin when full.